Ole Gunnar Solskjaer is presently experiencing his first spell of losses with Manchester United, the start to his official managerial stint at Old Trafford not as eventful as the start to his tenure as caretaker manager. Regardless, amongst the criticism against his candidature back then, even for an interim role, was that the Norwegian lacked managerial experience at the top level. However, what he lacked in that experience, he made up for in experience at Manchester United. The backroom staff and the non-football-related workers all knew him all too well, and he knew the place like the back of his hand. The support the fans had for him didn’t hurt either and that is what is carrying him through this tough spell at the moment. Now that the club is on the lookout for a technical director, their first foray into the modern hierarchical system, they may just do good to replicate the Solskjaer process. 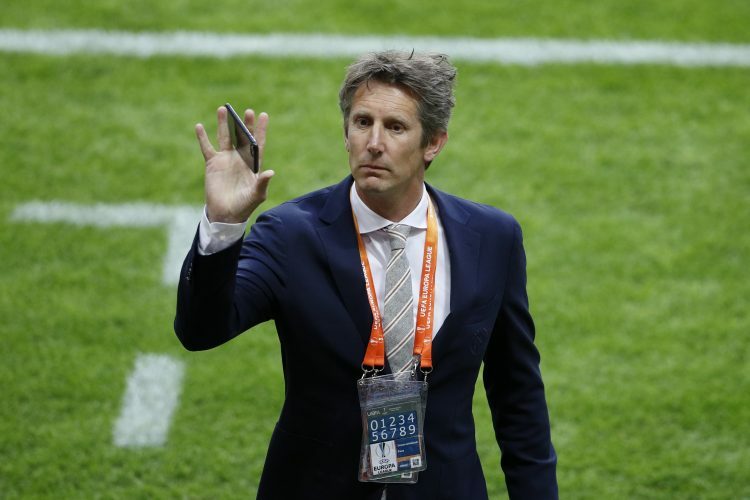 Former United goalkeeper Edwin van der Sar is believed to be in the running for the post. Speaking to the Times, van der Sar, who is presently the CEO at Ajax, revealed: “United is a much bigger challenge than Ajax. They’re not just a big and famous club but also a worldwide brand. Supporters of the Mancunian giants will certainly spy a similarity in the tone of the Dutchman to the one employed by their present gaffer. He went on to add: “Also Ed, I have the utmost respect for him and what he does for the club, so I don’t need to be the big man. I want to feel I can contribute and you can only do it for something you believe in.